John Michael Rouchell and the rest of his six-piece indie-pop outfit are clearly NOLA boys. From carefully placed horns and organs to their subject matter — “As my city was forgotten, I’ll be too,” Rouchell sings on “Orphan” — MyNameIsJohnMichael wears New Orleans on their collective sleeve. But it’s a bit more nuanced than that. Horn parts and occasional zydeco rhythms aren’t ham-fisted or overwrought, but rather subtly and tastefully executed, nodding just as much to the rest of the Southeast and Midwest as to the bayou. There’s plenty of sweeping, heartland flavor in this concoction, as well as delicate Americana languor and flat-out pop. MNIJM has been compared to The Arcade Fire a time or two, and while they’re probably less idiosyncratic and stirring than Win Butler & Co., they certainly reach for the same anthemic stars in earnest. It’s 7:30 on a Tuesday night and I’m sitting on a small set of concrete stairs between the Caldonia Lounge and the 40 Watt Club in Athens, Georgia, with MyNameIsJohnMichael front man John Michael Rouchell. Despite the time of day, it’s still 90 degrees outside and the humidity weighs heavily on John Michael and I, hanging around us like a nosy passerby trying to hear our conversation. And that’s what we’ve been doing over the course of the last half hour, sitting and talking music, songwriting, and New Orleans legends. Telling stories about Alan Toussaint’s writing process, the importance of Dr. John, and the history of Athens and the college rock scene. At one point we even mentioned American Idol, but we didn’t stay there long. Heady conversation with a young musician who sees the world through New Orleans colored glasses and cares deeply about his musical roots, his musical future, and the future of music in general. And that concern is well warranted. It’s not that our attention spans have gotten shorter; it’s that in the world of never ending news cycles, social media, and a host of entertainment options, we have too many distractions yelling for our time, money, and attention. And the music business is no different. If we don’t like the opening of a song on Pandora, we can click thumbs down and move on to a more pleasurable track. But poetic songs and poignant songs, like any good story, often need room to breathe. They need time to unfold and bounce around your head for a while. And for Rouchell that medium, the personal, unfolding story is a part of his being. Growing up in New Orleans, both of Rouchell’s parents worked and he discloses that he was raised by a woman named Odra Wilson (the title to one of his tracks on his upcoming album) who kept him entertained by telling stories. The last six years have been rough for New Orleans. Hurricane Katrina. Hurricane Gustav. The BP oil spill. While the overwhelming flooding in Memphis and the savage tornadoes in Tuscaloosa and Birmingham have grabbed recent national headlines, New Orleans and its recovery remain lodged in the national consciousness. Although the Saints Super Bowl victory in 2010 provided a small spiritual lift, the city is still struggling to recover economically. But as with most tragic events, the devastation of the disasters awakened a sense of pride in the residents and artists of New Orleans: a new found significance in capturing the sights, the sounds, and the richness of the Bayou culture. While rap is a fiercely territorial music, with artists creating styles that hearken to specific cities or even specific neighborhoods, rock, alternative, and pop music don’t carry the banner of place all that often. Sure, grunge came out of the Seattle music scene, but Nirvana, Soundgarden, and Pearl Jam didn’t travel the country promoting Seattle. Rather they had a sound that was born in Seattle. Music legend and songwriting idol, Dr. John Rebbenack. Photo by Derek Bridges via WikiMedia Commons. But for the current incarnation of MyNameIsJohnMichael (MNIJM), New Orleans is very much a driving force in their music. They aren’t afraid to pick up the musical history of New Orleans as a mantle and carry it with them wherever they go. Not in a bombastic, self proclaimed way. But with a humble reverence for New Orleans legends like Ernie K. Doe, Lee Dorsey, and The Meters, combined with a burning desire to blaze their own new trail. Coming on the heels of a successful tour on their first album (a record that sprung from a 52 songs in 52 weeks project in 2008), MNIJM was ready to head into the studio in the summer of 2010. The songs had been written on the road and the upstart band had gained some momentum by playing an official showcase at the Austin music festival SXSW in March. Yet, despite their success, something was off. John Michael and bassist Joe Bourgeois rocking out. Consequently, John Michael parted ways with his band, only bassist Joe Bourgeois agreeing to stay and pursue the songwriting, New Orleans tinged vision Rouchell had cast. In order to recharge and refocus, Rouchell decided to travel. That record, due out later this fall, was a record that Rouchell wanted to bleed New Orleans. To capture the soul of the city in which he had grown up and called home his entire life. Adding band members as he went along, Rouchell settled on a lineup that included Joe on bass, Phil Breen on keyboards, Ashton Hines on trumpet, Neil Bernard on drums, Terrance Green on trombone, and Jeremy ‘Mojo’ Phipps also on trombone. John Michael then began to talk with album producer Raymond Richards (Local Natives) about his achieving his new vision for the album. The album promises to be a testament to Rouchell’s vision: a combination of brassy rock and honest stories that take listeners to New Orleans. Listen to the first single “Orphan” here. The Caldonia Lounge is a smaller club at the end of West Clayton Street in the bar-heavy historic district of Athens. The maximum occupancy is 112 people, a number MNIJM won’t approach tonight as the spring semester ended nearly two weeks ago and summer school won’t start for another few days. The college town is a bit empty. Although this is technically the second time MNIJM has played Caldonia (they hopped on stage when they went on an unplanned mini-tour after evacuating New Orleans for Hurricane Gustav in 2008), the band is excited to do their first billed show in the town that launched the career of R.E.M. some thirty years ago. The seven piece band is cramped on a small stage. A three person horn section (trumpet, and two trombones), drums, keyboards, a bass, a trash can, a standing bass drum, and John Michael with guitar in hand and microphone in front. All of them move about like grown men might in a tree house: restricted and stiff. Nonetheless, all of them are smiling and their excitement for the show is starting to spill out as they bounce around, albeit in a confined space. Yet, at 11:40 when the concert begins the room and stage seemingly open up. The wide sound, a soaring sound scape of horns, keys, drums (and yes they actually play the trash can), fills the club. If the band was at all concerned about the size of the small crowd milling about, they don’t show it. They attack the songs with an energy and zest that never lets the concertgoers wake up and realize that its past midnight and they have work tomorrow. Led by Hines, Green, and Phipps, the horn section provides the roll in Rock & Roll. The crowd dances for the entire hour long set. An impressive feat considering the gathering is 95% white college kids. John Michael, sings, dances, and engages the audience like it’s a festival crowd ready to jam. At one point, he even moves his mic and himself down onto the dark concert floor. Small in stature, the crowd around him covers him up save his booming voice and his faded white fedora. When the set ends a pleasant buzz can be heard as the crowd disperses. Good vibes from a good show. A few fans huddle over the merchandise table as Joe preps to hand out CDs and t-shirts. MNIJM has successfully brought New Orleans to Athens, Georgia. In an hour’s time, they’ll pack up the van and take their brass colored party down I-85. Ever since autumn, two friends have been gradually leaving traces of info about NOLA (New Orleans, Lousiana) and the state itself. Just like giving limited edition tidbits that are soon pulled away before given back, a general buzz has been building through their-and I quote-”subliminal messaging” in that culturally rich southern state. Coincidentally or part of a larger conspiracy to bring me there, bands began popping up on my radar left and right in such a short amount of time with the majority originating from NOLA. One such was MyNameIsJohnMichael, a group that originally started out as a solo project provoked by a dare to create one song each and every week in 2008, and has since flourished into festivals such as Bonnaroo and sharing stages with world class musicians. Just before it starts, get a taste with a live vid from SXSW 2011 of “Orphan” off his upcoming album. I had a chance to speak with John about his upcoming sophomore album, the city, and growing up in such a rich scene. John Michael Rouchell made a splash in 2008 by writing a song a week throughout the year, then releasing each track online for fans to listen and comment on. 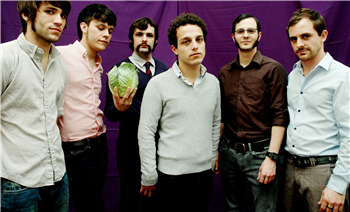 The following year, the band was named a "must-hear" artist at the CMJ festival by Spin magazine. Today, he's released "Orphan," the bouncy first single for his upcoming album, for free download. The bandleader has said the new album, which features members of Big Sam's Funky Nation, will add more classic local elements to his usual bouncy indie-rock, with plenty of horn and New Orleans piano. When a band or artist names their act after themselves, it’s to tell the world that all the attention belongs to them. Alice Cooper started as the band name, but everyone knows the man formerly known as Vincent Furnier as the real king of shock rock. And while everyone may love Wings, they’d be grounded without Paul McCartney’s name and pop lineage. But when New Orleans-based musician John Michael Rouchell calls his band MyNameIsJohnMichael, it’s less about the globs of attention to be earned and more about the music itself: simple, to-the-point acoustic balladry that gets a kick thanks to some Big Easy brass. To understand that sound, check out the track “Orphan”, off of the groups’ upcoming sophomore LP. There’s a light, strummy vibe that acts as a base throughout. Spicing up the simplistic nature, though, is a healthy dose of horns and organ work that add a classical and clearly Southern influence to a decidedly Northern-born variety of simple rock and roll. With such a vibrant, yet minimal sound, it’s easy to get lost and forget who this John Michael character even is. Check out the track below. The album is produced by Raymond Richards (Local Natives) and is scheduled to be released this year. Along with the track below, make sure to take a look at the group’s upcoming tour schedule, which includes stints at the New Orleans Jazz & Heritage Festival and French Quarter Fest. You all know the drill with SXSW. Between the official showcases and the unofficial day parties, thousands of bands head down to Austin, Texas every year for the weeklong festival hoping to be heard, seen and remembered. For attendees, it’s music overload—you may see 20 or 30 acts over the span of several days. I saw 100 acts this year at SXSW. In doing so, each band increasingly blurred together with those that came before and after. Three months later, it’s difficult to name each band I saw. There’s a few bands, however, that catch you off guard just enough that you can’t forget them. MyNameIsJohnMichael was one of those groups. After bouncing around the local music scene for a few years, New Orleans singer-songwriter / guitarist John Michael Rouchell found himself frustrated, disenfranchised, creatively starving and struggling to maintain a sense of direction. In late 2007, lacking motivation and in need of inspiration, a friendly wager and a tasty filet-o-fish ignited and incited Rouchell’s resolve, sending the wayward songsmith on a yearlong journey whose humble beginnings paved the way for one of the most exciting, ambitious and innovative musical adventures to date. Determined and alone, under the moniker MyNameIsJohnMichael, Rouchell began writing, recording and producing his weekly excursions. Gradually, the project gained momentum within the local indie rock scene. As it took shape, so to did Rouchell’s vision. He wanted to open his project up creatively; he wanted fans to partake in his pilgrimage; and he wanted to release an album at the end of his voyage. He decided that he would release a track a week on his website, allow fans to vote for their favorites and record his album based on the results. There was only one piece missing in this collaborative experiment – a band. About three months into the project Rouchell asked drummer Eric Rogers, who had previously added drums to some of his early tracks, to assemble the cast. As Rogers set out to find his musical dream-team, John Michael continued to churn out songs week-in-and-week-out. Eerie and insightful, pensive and profound, animated and invigorating, JM’s tales of longing and redemption expose a fascinating world filled with enigmatic characters. With a full ensemble established, MNIJM colored their frontman’s tracks with sharp melodies, vivid layers, tugging harmonies, springy grooves and rich atmospherics. From a lone songwriter to a six-man troupe, about mid-way through 2008, it became apparent that MNIJM was more than just a song a week, a fun side-project or a freewheelin’ experiment. Passionate, driven and dedicated, MNIJM honed their talents, solidified their sound and quickly established a reputation as one of the most exhilarating and enchanting up-and-coming acts in New Orleans. From the fateful musings of a restless wayfarer came an intriguing work-in-progress that evolved from a winsome long-shot to an underground groundswell that resonated throughout a community struggling to reconcile its storied past and redefine its sense of identity. Upon the turn of 2009, MNIJM retreated to the studio to stitch together an album of their best composite sketches. Released in late March, The People that Come and Go is much more than a glorified compilation. It fully embodies the living consensus of an existential crisis. Frantic and fuzzy, radiant and reflective, People revives the high hopes of the downtrodden, eludes the rigors of the withdrawn, and revels in the lush optimism of a golden era. On a dare, John Michael Rouchell wrote a song a week in 2008 and posted the results to his Web site. The endeavor generated 52 songs, stress and a band, MyNameIsJohnMichael, which makes its debut today at the New Orleans Jazz and Heritage Festival. It also convinced Rouchell that actually making music is preferable to fretting about it. "I think it was Ornette Coleman who said, 'Music should be like newspapers, not novels, ' " Rouchell said. "Look at guys like Lil Wayne: output, output, and hopefully people catch up." The son of a lawyer/amateur musician and a certified public accountant, Rouchell, 23, grew up immersed in local music. His guitar teachers included Brian Stoltz, an alumnus of the Neville Brothers and Funky Meters. Fresh out of Jesuit High School, Rouchell built a rock band called Ellipsis with two classmates and a friend from Isidore Newman School. Their 2004 debut recalled modern rock hit-maker Incubus. Their second CD, in 2006, unabashedly channeled Led Zeppelin. By the end of 2006, Rouchell had moved on. He spent a year jamming with the likes of Theresa Andersson and vocalist Blair Gimma, "playing to have fun, to forget the woes of it being your baby." A friend accused him of sloth and threw down the song-a-week challenge. Rouchell initially envisioned the project as a solo enterprise. "I wanted it to be the anti-band, " he said. "I wanted to call random people and have them sit in on songs. No commitments, no hang-ups; I'd just been in a band, and I was over it." A Loyola University professor -- Rouchell is finishing his final semester in the music business studies program -- suggested posting the songs online. "He said, 'There's no point in just doing this for yourself, ' " Rouchell recalled. 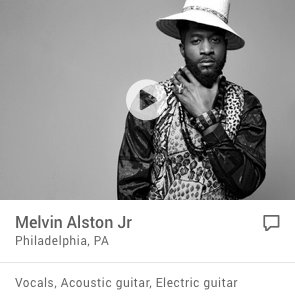 Some tracks featured him alone with an acoustic guitar. For others, he solicited friends from the local rock community. The first was Antenna Inn drummer Eric Rogers, with whom Rouchell had collaborated in Gimma's band. "At first I thought he was crazy, " Rogers said of the song-a-week undertaking. "That's a lot of work, and musicians are notorious for being lazy. But he stuck with it." Rogers recruited multi-instrumentalist Cory Schultz and bassist Joe Bourgeois, bandmates in Antenna Inn. They added Big Rock Candy Mountain keyboardist Michael Girardot. The City Life guitarist Leo DeJesus signed on after a work-related mishap temporarily placed Schultz on injured reserve. When Girardot left, keyboardist-guitarist Richard Dubourg replaced him. "We'd played together at random times, and had seen each other's bands forever, " Rouchell said of his new bandmates. "So there's definitely a camaraderie. We cut to the chase quickly; it's less the years than the miles." Each week in 2008, a new, downloadable song appeared on the MyNameIsJohnMichael Web site. The group cheated a bit: It stockpiled extra songs the week before Rouchell's tonsils were removed and before it hunkered down to record the band's debut CD, "The People That Come and Go, " in December. Like Ellipsis, the band recorded in Rouchell's parents' house in Old Metairie, which the musicians termed the "suburban Big Pink." Contemporary pop influences are apparent, from Coldplay-esque drama to the literate songwriting style of Bright Eyes' Conor Oberst. Trumpet, glockenspiel and four-part harmonies live among guitars, bass, drums and keyboards. In Ellipsis, Rouchell relished his role as resident guitar hero. But the opening song on "The People That Come and Go" is guitar-free. The only guitar solo on the entire album is a relatively modest, country-style affair. "I realized I liked writing more than being the cool dude with the guitar who can fake like he's Jimi Hendrix, " Rouchell said. "B.B. King writes amazing songs, but no one thinks of him as a songwriter because he's as good a guitar player as ever lived. I'm trying to go the Prince route: songs first." MyNameIsJohnMichael's fans include Joel C. High, a Los Angeles music supervisor for TV and movies who keeps close tabs on the New Orleans music scene. "I like that John Michael treats songwriting as much as a profession as art, " High said. "He's disciplined, and treats it like a craft. Coming from the film and TV world, that's important, that he can sit down and write a song, and that the song will be heartfelt and powerful." With DeJesus and other members now writing songs, MyNameIsJohnMichael's next record will likely be even more of a collaborative effort. The band's whirlwind first year included a recent Big Easy Award as best emerging artist. Performing at Jazz Fest -- with a guest appearance by members of the St. Augustine High School Marching 100 drum line, no less -- is yet another milestone. "It was a crazy year, to go from not being a songwriter to writing 52 songs, putting out a record, putting a band together, and being in a band that is way bigger than me, " Rouchell said. "We're a young band. We're still figuring out who we are, and what we do." One thing he likely won't do again is write 52 songs in a year. For 23-year-old local songwriter John Michael Rouchell, the project that kick-started his career was undertaken on a dare. &#8194;&#8194;"A friend of mine told me I was the laziest songwriter on the planet," Rouchell says, laughing. "He said that I couldn't write a song a week for the whole year. And so I did it." &#8194;&#8194;In 2008, Rouchell wrote and recorded a new song each week and posted each one on his Web site, www.mynameisjohnmichael.com, for comment and review. The rigorous schedule paid off both in publicity and in honed skills. Rouchell accumulated a six-piece band along the way and played in Austin's South by Southwest music festival last week. Jazz Fest and Bonnaroo slots are scheduled, and he is negotiating an Austin City Limits festival gig for early fall. He also was nominated for a Big Easy Entertainment Award in the Best Emerging Artist category. This Saturday, he'll release his first full-length CD, The People That Come and Go, featuring 13 tracks culled from 2008's 52. &#8194;&#8194;"It was a really cool idea to test myself, to see if I was really a songwriter, to see if I could do it," he says, noting the plan was a bit like an exercise regimen. "Because I've never really been the front person of a band or anything. It was a fitness thing in a way. Because there are those weeks when a song doesn't come, but you have to find the means by which to output what you're going through that week. Sometimes the songs were literally about not having a song." &#8194;&#8194;Currently a senior in Loyola University's music business program, Rouchell already has a few years under his belt in New Orleans' small but close-knit indie-rock scene. After taking a two-year hiatus from school to tour with his band Ellipsis and do a couple of brief stints on guitar with World Leader Pretend and Theresa Andersson, he settled back into his hometown with a renewed focus on his music. The organic-meets-electronic sound of those two bands is evident in the folk-pop jangle of his solo work. As the project evolved, his band also fleshed itself out with the added talents of members of the City Life, Antenna Inn, Glasgow and Rotary Downs. &#8194;&#8194;Offering up his raw material track-by-track, Rouchell used the emerging model of artists giving away downloadable MP3 files and then took a pay-what-you-wish concept a step further. As each song appeared on his blog, visitors had the option of donating money to his effort. For $10 or more, fans earned a high-quality audio file and the opportunity to vote on which tracks would make the cut for the album. With the band's input, he reworked and re-recorded the fan favorites. But the songs that fell away with the chaff won't go to waste. &#8194;&#8194;"In the music industry right now, one album every 18 months doesn't work," Rouchell says. His blog has two complete live shows posted for free download, and for the foreseeable future, he's got plenty of material left to work with. &#8194;&#8194;"We're constantly trying to give people more media than they can handle," he says. "Look at Lil Wayne. That guy puts out how many songs a year? And he just has to freestyle over a track." Last night at Tipitina's, John Michael and his rock band arrived, came into their own, had a moment--however you wanna put it. It was their fourth show. I saw the previous one at The Blue Nile, and at the Tips show the band(Joe Bourgeois on bass, Eric Rogers on drums, Michael Giordano on keys, and Leo DeJesus on keys and guitar) was livelier, tighter, and it just sounded better. Who was doing sound? Hats off. John Michael's well-crafted and hook-laden melodramatic pop songs were fed by his enormous stage presence. Coming out of the gate, John Michael already knows how important it is to bond with your audience. He made the crowd move forward, clap, and sing a capella to the band's awesome cover of TLC's "Waterfalls." At just 23, New Orleans own John-Michael Rouchell has a resume that outshines those twice his age, having shared a stage with George Clinton and founding the band Elypsis before he even left high school. With his new project, MY NAME IS JOHN MICHAEL, John Michael is undertaking a one man musical marathon, one that promises 52 songs over the course of 52 weeks and invites fans to become involved in the process by selecting the tracks that will make up the final LP, due early next year. Brett of STATIC caught up with him to discuss the project, the nature of his creativity, and how he keeps himself sane. STATIC: You've had a more varied career in the music industry than many people twice your age. What are the top three moments that have defined it for you thus far? JOHN MICHAEL: The first has to be this 52 song/52 week project. I'm not saying this because it's what I'm working on now. I'm saying it because this project and the band that we have put together are not only the most fun that I have had playing music, but also the most inspiring and challenging thing that I have done to date. We have a great team, and I'm excited for the journey that we are taking. The second would have to be playing with George Clinton and Parliament/Funkadelic from when I was 15-17. I learned more from them than I can express. George called me "the hippest kid from this planet." Kinda rad, no? The third would be a tie between my experience with Ellipsis and the film score that I composed. I learned a great deal from both of them and am a better person/musician for those experiences. ST: A song a week for a year is an incredibly lofty target to live up to; it can take many bands 3 times as long to write half of that amount of material. How do you stay so creative and productive while continuing to live day-to-day? JM: Honestly, the creative part hasn't been that difficult. I am a songwriter/musician; that's what I love doing. The difficult part is maintaining a "normal" life. My personal life has greatly suffered due to this project; nevertheless, I know that it is worth it. I feel like I have grasped the rhythm of the creative part. I am still working on the normal life part of it. ST: You mention on your website that you hope the new record will be the "soundtrack to 2008, which seems to be a year for change." Does that sentiment reflect any of the motivations you had when you initiated this project? Is this the result of an innate desire to break your own mold a little bit? JM: 110%. Making a record isn't enough anymore. Anyone can do it. I wanted to break the mold of what an album can be. I've made records that were like the tree that fell in the forest with no one around, ya know? With this project, everyone involved had the intention of doing something so undeniable that people have to watch it if they hear about it. Due to the fact that anyone can make a record (go look at myspace, man), we wanted to show the diligence and determination that we have in our craft. Most people think that I'm nuts for writing a song per week for '08. Honestly, I don't care. This is what I am supposed to do. ST: How much does what you're currently listening to influence the sound of what you're writing? Does your work on the record thus far have an overall influence or is your creative direction different week-to-week? JM: The things around you influence you whether you're cognizant or not. Sure…I think you can hear it. There are two goals for this project. The first is to experiment and find new colors, universes, and palettes for the music. The main goal is to contribute to the American songbook that I feel has been overlooked as of recent. Basically, we are trying to keep one foot in tradition while pivoting with the other foot in experimentation. ST: Is the glass half-full or half empty, and what of? ST: Your previous band, Ellipsis, caused quite a stir. Where is the variance between what you achieved with that band and what you are doing now? Why did Ellipsis not continue what looked to be a very promising collaboration? ST: Bob Dylan or Tom Waits? Why? JM: Damn you for that question. They are both like hammers. They just have different shapes. Sometimes one needs a sledgehammer, sometimes a jackhammer. If I had to say today who I would pick, I'd say Dylan, but ask me tomorrow and my answer may change. ST: What is the new record going to be called? What is its official release date? Are you planning on doing 'a Radiohead'? Will there be some kind of Trent Reznor-esque limited edition offered? ST: Are there any plans for touring extensively? Would the tour feature a full live band? JM: We do plan to tour. Gas is just nuts right now. We have put together the best group of musicians that I could ever ask for. They are Eric Rogers on drums, Cory Schultz on guitar, trumpet and a bunch of other stuff, Joe Bourgeois on bass, Leo DeJesus on guitar, harmony vocals, percussion, keys and a bunch of other stuff, and Michael Girardot on keys and trumpet. I can't say enough about these gentlemen, but I will anyway. Eric has become one of my dear friends and is the best drummer that I have played with yet. Cory plays more instruments than anyone I know (clarinet, seriously) and is such a free spirit. Joe is a work horse and is the most diligent of all of us. Leo is the best singer/arranger that I have seen and he's a snappy dresser. Michael is a musician's musician. He's incredible and his personality is like sunshine. I'm a lucky kid. ST: Are you of a New York state of mind? Or is New Orleans really more your speed? JM: My friends say that I am more of a New Yorker, but do you trust your friends? Dr. John is the Big Easy Entertainer of the Year. The Big Easy Foundation has announced nominees for the 2009 Big Easy Music Awards. The winners will be honored at the awards gala at the Harrah's New Orleans Casino on Sunday, April 19. Dr. John will accept the Entertainer of the Year award. Recognition also goes to top artists and bands in a wide variety of music genres as well as the top album of the year. &#8194;&#8194;The event is sponsored by The Gambit, Harrah's New Orleans Casino and Hotel, Abita Brewing Co., WWOZ 90.7 FM and Coleman E. Adler & Sons. For reservations contact the Big Easy Foundation at 483-3129. Aaron Neville will receive a Lifetime Achievement in Music Award. Troy Andrews and Orleans Avenue are nominated for Best Funk band. Terence Blanchard is nominated for Best Contemporary Jazz artist. Tab Benoit is nominated for Best Blues artist. Lil Wayne is nominated for Best Rap/Hip-Hop artist. Irma Thomas is nominated for Best Rhythm and Blues, Best Album of the Year and Best Female Artist. Clint Maedgen is nominated for Best Male Performer. Gal Holiday & the Honky Tonk Revue is nominated for Best Country/Folk band. The Pine Leaf Boys are nominated for Best Cajun band. The Pfister Sisters are nominated for Best Female Performers. Ledisi is nominated for Best Rhythm and Blues artist. Writing a blog a little hung over is pretty hard, especially when there are no Advil or Tylanol in the house (I will not tell you which is better until those endorsement dollars start rolling in). This came to my attention via MyNameIsJohnMichael's Twitter account. What a wonderful too! HERE is ours if you are into the whole Twitter thing. But, apparently MyNameIsJohnMichael is getting himself organized before his album finally comes out and has started a blog. Knowing him he will keep the thing pretty up to date and be entertaining in an ADD kind of way. On the blog you can get a Zip file of all 52 songs from their song a week project and get to know them a little better. Also, be sure to catch their record release show at One Eyed Jacks on March 28th. Here is the little in the studio piece we did a while back. Another core member of this Loyola conceived indie rock family is John Michael Rouchell, who is the brainchild of MyNameIsJohnMichael. Originally a solo artist, he converted to a band after wrangling up his buddies Rogers, Girardot and DeJesus as well as Cory Schultz and Joe Bourgeois from Antenna Inn. MyNameIsJohnMichael has a creative business concept behind the band that propels it forward. Rouchell set out on a musical excursion almost one year ago and is about to reach his destination. He vowed to release one song a week, every week, for one year and has proven himself to be an honest man. He is incorporating the public into this project by asking people to fill out a general information form on his Web site, mynameisjohnmichael.com, and if they contribute $10 or more, they will have a say in which 12 of 52 songs recorded in 2008 will make it in the intended final product - an album to be released in early 2009 of the best voted songs. He is leaving it up to the fans to determine the songs they consider to be the most deserving for the album. "All my songs are pieces of me and whatever piece of me people want to hear, that's fine - it's all honest," he said. After setting out on this ambitious journey, he realized that it might be more easily executed with a backing band to help him out with recording and performing. He was hesitant at first because of the propensity for band members to bump heads over creative and personal differences. "I kind of wanted it to be an anti-band. When you start a band it gets all weird like a relationship, but I sat down with Eric (Rogers) and said 'let's start a band,' even though it went against my entire ethos," said Rouchell. A group called MyNameIsJohnMichael. This is a band led by John Michael Rouchell, an artist from New Orleans. He is a young guitarist, singer/songwriter and multi-talented instrumentalist with producer skills that precede him. In a moribund town like New Orleans, he is a true renaissance man. On a dare, he set out at the beginning of the year to write, record and release one song a week for the entire year. He’s pulled it off and you can hear and download the songs at www.mynameisjohnmichael.com. 52 songs in 52 weeks. Go to www.mynameisjohnmichael.com and download every song for free. MyNameIsJohnMichael is a 6 piece indie rock band born and raised in New Orleans, which began as a solo project in 2008 when lead singer John Michael Rouchell accepted a friendly challenge to write, record, and release 52 songs in one year.Only 4 months into the project, a 6 piece MyNameIsJohnMichael was realized, and in March of 2009 the group put out their self-released debut album, "The People That Come and Go." The tracks from the album came from the 52 songs of 2008 and were voted on and selected by fans. Full of vibrant energy and explosive performance, MyNameIsJohnMichael's live shows go unrivaled, featuring trumpets, trash cans and chains. Pronounced Best New Artist/Band out of The Big Easy by several publications, MyNameIsJohnMichael is one of the South's best live bands. The group wrapped up a great year playing festivals like Bonnaroo, The New Orleans Jazz and Heritage Festival, Voodoo Fest, CMJ and SXSW to great reviews from publications like SPIN and The Metro. SPIN Magazine featured MyNameIsJohnMichael as one of the Top 25 Bands to See at CMJ 2009, calling the sound, "straight forward, plaintive acoustic balladry infused with a bit of brassy Big Easy bravado. " The review was followed quickly by The Metro's declaration that MyNameIsJohnMichael was one of the 5 top bands you should have seen at CMJ in their article "OMG!CMJ!," stating "a Bayou-flavored version of the Arcade Fire's anthemic indie pop, [this] six-piece band sing dead-on harmonies and rock out ferociously when the occasion calls for it." MyNameIsJohnMichael is looking forward to an active end to 2010, playing The New Orleans Jazz & Heritage Festival, B.O.M.B. Fest, Lollapalooza, Mile High, and ACL, and to the recording of their sophomore album to be released later this year. Can do 30 min, 45 min, 1 hour, or 1 hour 15 min sets.